Listings of new slots. 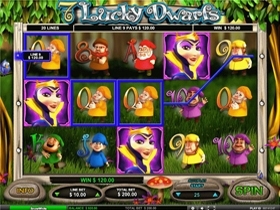 Our current new slot games are: 7 Lucky Dwarfs, Wish Upon a Jackpot Slot, Sherlocks Mystery Slot, Jurassic Park, Megasaur and Diamond Queen Slot from IGT. 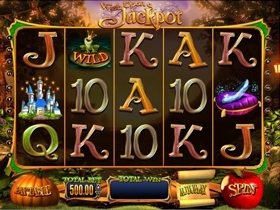 Wish Upon A Jackpot is a fairytale-themed game consisting of 5 reels and 20 pay lines, and features a Wild, a Scatter and Bonus games. The Fairy godmother Spin triggers randomly during any spin and rewards an extra bonus feature. Bets range from as little as $0.20 to $500 per spin and the bonus rounds pay out as much as you put into the game. Icons from classic fairytales appear on the screen such as Puss in Boots, Cinderella’s glass slipper, the giant’s golden harp, a castle, and the symbols of high valued playing cards. Sherlock Mystery has 5 reels with 20 pay lines and is based on the fictional detective Sherlock Holmes. 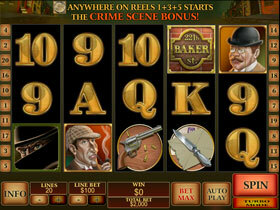 It contains great features such as a free spins mode and Crime Scene bonus game. Bets range from as little as $0.01 up to a maximum of $100. Professor James Moriarty is the Wild and substitutes all other icons except for the Scatter. Icons include the standard playing card symbols 221b Baker Street Address Plate, Gun, Letter & Opener, Magnifying Glass, Dr Watson, Professor James Moriarty and Sherlock Holmes. 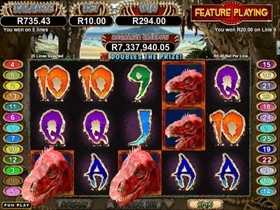 Situated in the heart of the jungle surrounded by Dinosaurs, this 5 reel slot with 25 pay lines comes to life with dramatic background sound effects and ferocious Dinosaur icons depicted on the reels. Features of this New Slot Game that add to this nail biting slot include Both the Red and Green Megasaur icons which act as Wilds, the Free Spins round, a Feature Guarantee and a Progressive Jackpot. IGT have now released their New Online video slot version of the popular land based game. With 5 reels and 20 pay lines the theme is well enhanced with excellent graphics in sharp colours and accompanied with very pleasant audio. Diamond Queen Slot features a special Bonus Round with Free Spins and Random Multipliers with potential for some very acceptable awards. This is started when you trigger 3 Magical Diamond symbols anywhere on reels 2,3or 4. Three Free Spins are awarded opening up the chance of more free spins. During the Free Spins there is also an interesting feature where the Wild locks a reel. Starting on reel 2 it can move to reel 3 and then to reel 4 when you have more free spins available. With the Wild replacing all other symbols except the Scatter your opportunity for winning increases proportionally. 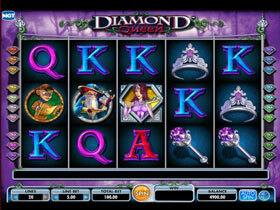 Players will find the potential rewards on the new Diamond Queen video slot having great appeal. 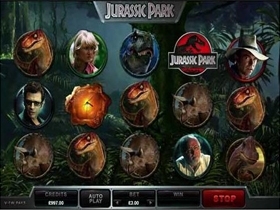 Jurassic Park is a video slot game with 5 reels and 243 pay lines. Bets range from as little as 30p per spin up to a maximum of £30 per spin. This video slot is based on the 1993 Steven Spielberg movie where a group of scientists created a wildlife park full of cloned dinosaurs. To add to the excitement of the game you will find Wild reels, split wilds, wild multipliers, running wilds, mystery multipliers and winning wilds.